I am writing this article, not to discredit my fellow Sudanese nationals whom I cherish so much, but to deal openly and logically with an emerging serious problem that would impact on all of our lives. I believe the absence of a good education system in Sudan plays a crucial role in shaping the tainted new Sudanese image. As a long time educator myself, I sensed complete dissatisfaction about education in Sudan from parents, educators and students. The end result of a failing education system is the annual influx of jobless, hopeless and a lost generation of graduates without any promising future. These shortcomings, besides some other personal attributes play a vital role in judging the Sudanese image locally and abroad. The education in Sudan started at the outset of the twentieth century. The British had established a solid foundation for education in Sudan with strong ties to their own education system in Britain. The basic idea, which was established on the efficient utilization of the limited resources available at that time, was to give education to the elite. Therefore, a tightened sifting process from the bottom way up was established which was set to filter smart students towards higher education. The education performance in Sudan was a success up to the late seventies when the effect of President Numerie’s plans to uphaul the education system to make it more nationalistic rather than its ties to the British. The outcome was disastrous due to the hasty approach followed. I am not against a nationalistic approach to education, which is a must for any developing country, but the way we moved hastily towards nationalization and arabization proved to be non- fruitful. Unfortunately, the current government also committed the same mistakes of the past besides moving horizontally to increase number of schools and universities without the availability of adequate financial resources. This move gave the final mortal blow to education in Sudan. The vertical move initiated by the British was unconsciously diverted to a horizontal expansion in education which is meant basically for political agendas. An alternative approach could have been to focus on vocational training to absorb the excess number of the population. We had never focused on vocational training to meet the growing demands for technicians in the countries of the West or Gulf region. Philippines, for example, is very successful in supplying technicians, nurses and handymen…etc., for these markets. Now the incoming remittances to Philippines from its workers abroad constitute a remarkable share of its annual Gross National Product (GNP). As a result, Philippines does not have a persisting exchange rate problem in its currency as Sudan does. The local and the international job markets have become very competitive and we have to tie our education system with the changing demands of these markets. Not to open more education institutions for the purpose to absorb the excess increase in young generations. This approach is a temporary political solution that would backfire sooner or later in dramatic proportions. Another example is India, where the focus is only on computer training and now it is one of the leading economies of the world. India had kept its education in the English language while it overhauled the process from within to satisfy its nationalistic aspirations. Now, Indian academics and technicians are in demand worldwide. The bottom line is quality of education not quantity! a-	The style of a relaxed lazy life which was passed from one generation to another. I had seen young guys in Sudan stay late at night and sleep till the late afternoon hours. They wake up to have meals and continue their meaningless social life of a fantasy world of their own creation. 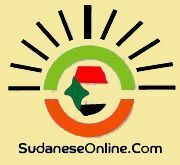 b-	Though it is diminishing gradually nowadays, the income sharing among the Sudanese families contributed remarkably to the lack of motivation among teenagers to pursue goals in life. c-	The new life surrounding culture is detrimental in shaping the interests of our young teens. In Sudan, now the goals of a teen is to own a sophisticated mobile phone, a car, a laptop or an ipad, …etc. Due to these materialistic desires, making easy money is the target. The market in Khartoum is full of crooked peddlers, agents and brokers (simsars). Once, they smell you have dollars, they hover around you like flies over a sugar candy. d-	Failure of the government to engage in serious planning to create job opportunities for graduating students. As a result, the lousy existing education system is becoming less attractive and many of our young teens are dropping out at an alarming rate. e- Sudanese parents should pay attention to the way kids are raised. The process is left loosely to the surrounding atmosphere rather than a meaningful intervention to influence the upbringing of children. Motivation could be enhanced from the early years of childhood. 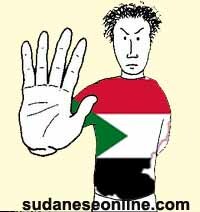 Many youths in Sudan do not have a clue about his/her future direction. This is a luxury thought for those in their late teen years and up to the late twenties. A benchmark in management is to set a far reaching goal (or even a character on the personal level) and to work towards it gradually over the years. A Sudanese nowadays looks towards X (who is a neighbor, colleague or a friend) who left Sudan to work abroad. As long as X did it, I can do it. Many left the country without adequate education and training to embark on either a failed experience or a fatal encounter as what happened to those set bound for Israel and Italy. Many times, we Sudanese, deal with problems emotionally and personally rather logically. Even in our daily discussions, we tend to twist arguments towards subjective attributes rather than an objective approach to deal with the deep roots of the problem. Unfortunately, this way had led to many of us to lose our sense of direction in life by losing the right path to deal wisely in any open forum or discussion. A clear example is what is going on in the Arabic forum as some of you had pointed out. Such type of shallow thinking and personality can be easily unearthed in a job interview or an aptitude test. Leaving the country without being prepared to face the new challenges ahead is quite risky. Sometimes, it generates dire social consequences. Youth activities in Sudan are almost negligible. I remember in the past, we used to create our own activities since our childhood. We play soccer together or go swimming in the Nile as a group. The idea of cooperation and teamwork were naturally alive in our bringing. Though, we were much poorer than today’s kids but we had the drive to invent our own toys. Great soccer players in our times started their early career by the famous little ball made out of old socks and rags. In Sudan nowadays, it is very rare to see children playing in the streets. Believe it or not, there are so many public and private schools with no sports or social activities at all. No wonder we started to import professional soccer players whom we pay generously in thousands of dollars. The Sudanese character was subjected to many stereotypes, particularly in the Gulf countries. Those unpolished ignorant folks would like to create a victim image to show their fake superiority hence the short wall is the Sudanese Zoal. However, I do not really care much to what these idiots say because they are the scum of dirt (excuse me here). At the other end, in a way or another, some Sudanese might have contributed to some of these stereotypes. Recent comers to the Gulf counties do not pay attention to grooming themselves while wondering around in these countries. We have to be careful when we move abroad, as a certain behavior which is acceptable to some of us might not be appreciated by others. However, it is a fine line to draw but we should take into consideration people judge the whole pact not a single wolf. I hope I had presented the true picture of the challenges that cause the withering image of the Sudanese character. As I mentioned above, it is not my intention to ridicule others rather than bringing an important topic for an open serious discussion.